Free crochet patterns for easy flowers, easy and fast to crochet flowers, beginner level crochet flowers, learn how to crochet an easy five-petal flower, free crochet flower video tutorial, free crochet patterns. 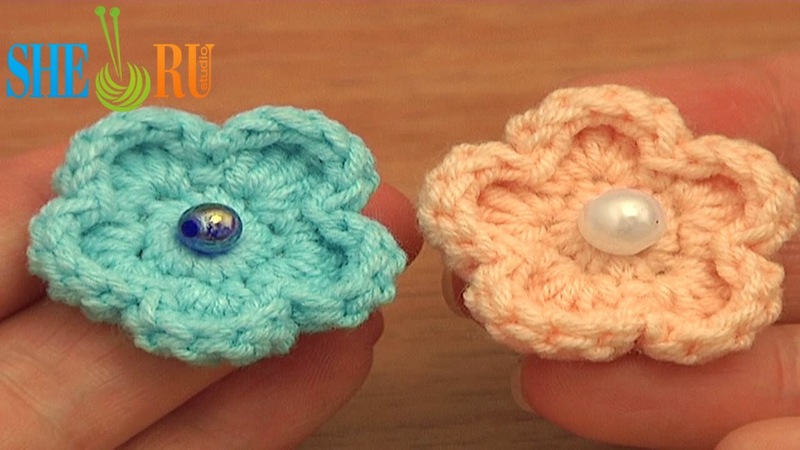 See more flowers to crochet and knit on Sheruknittingcom YouTube Channel! You can use this flower on hats, bags, pins, hair bands, clothing, home decore, as gift package/gift card decoration, make it a part of your fashion accessories like bracelets, necklaces, belts, scarves. Use you imagination to create the best accessory. For this flower you can use some scrap of yarn and a bead or abotton for the center. Thanks for watching!